Photos shown above can all be added to the reference. I own these. Shot personally. crop and tag with team logo. with credit tag line To Vern Beezer. discard or add as you wish. Wow Vern, That is an impressive collection of counters you have! My counter is very similar to the one of yours which has a large eagle on it except the metal part of mine was more of a grayish colour rather than a brassy colour. 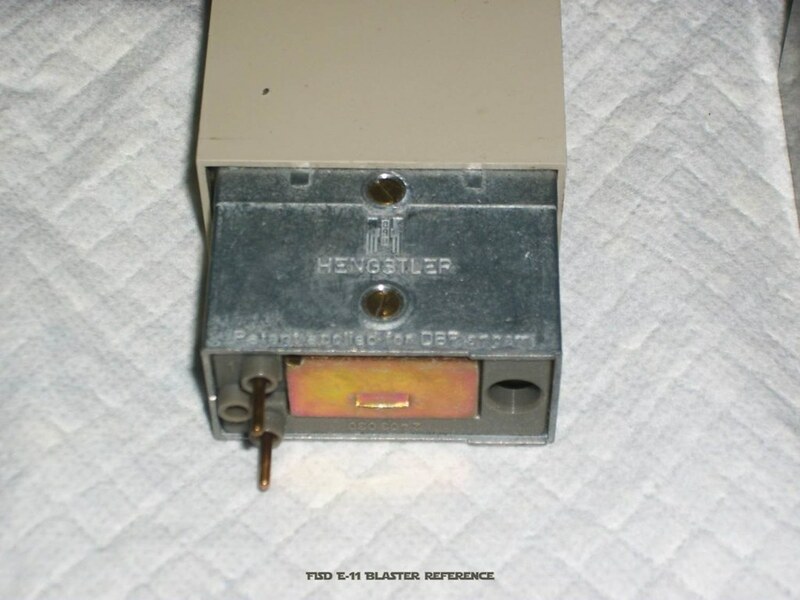 Hengstler likely used "pot metal" to make housings on all their counters because it's a fast and inexpensive way to make a large number of parts. Car manufacturers use pot metal to cast many parts. Ever see an old car with a pitted chrome hood ornament? The ornament is probably pot metal. The brassy color is the result of cadmium plating, which is used to improve corrosion resistance. 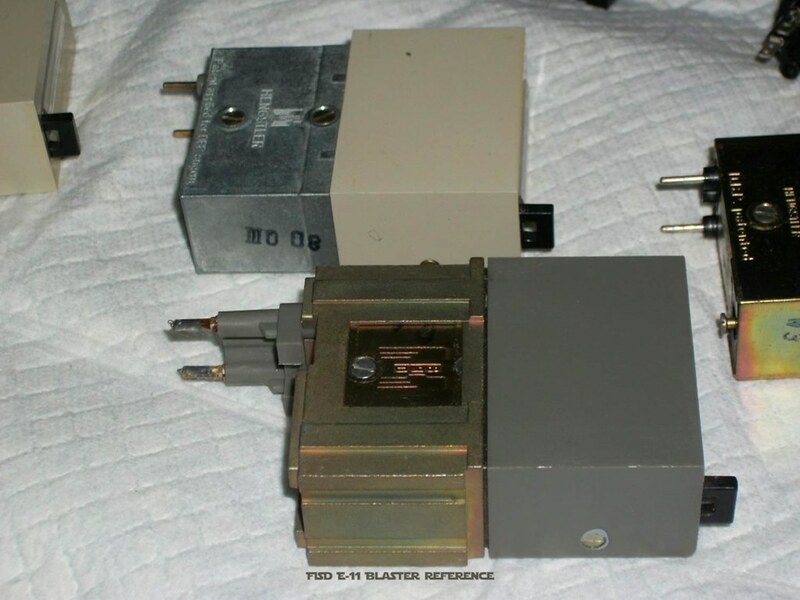 Grayish color housings were either never plated, or the plating was worn off or removed. 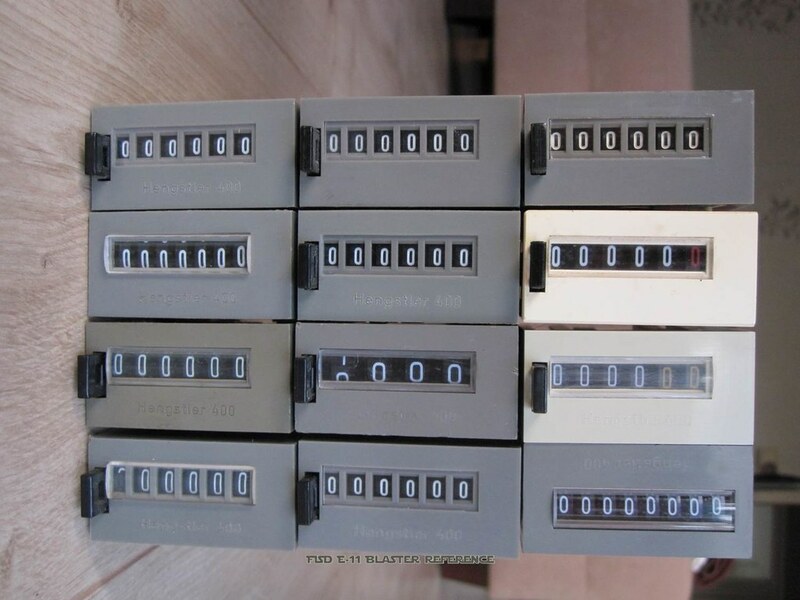 Some counters are actually brass, while others are aluminum coated with a yellow plating. Still others are tin. other versions with the plastic connection box have aluminum, or Tin casings. Show me a brass counter box. I don't believe it exists since casting it would be prohibitively expensive for a simple piece of industrial instrumentation. You sold me a large eagle and the box is cadmium plated pot metal. I know that because I drilled holes in it - it's NOT brass. 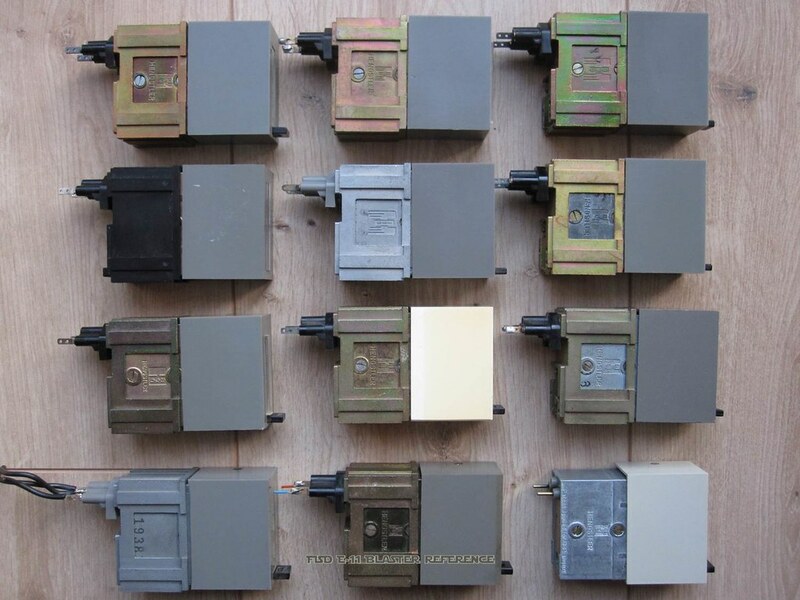 All of your pictures show pot metal boxes - plated and unplated. No other metal makes sense due to high melting points, which means higher material and tooling costs for a factory. But, whatever you want to believe - it's being used on a fantasy prop. Vern, thank you very much for your photos from the original parts. We will soon create a new chapter, where some of these can be included. Your pictures will then get the common watermark and (once uploaded to this reference) you will be stated publicly as a content contributor in a new post, with a direct link to this update. For any additional discussions (or in case, this is not what you had in mind) please let's continue to use our existing PM conversation. Thank you very much. We ask you to please not add this in a new post. Instead of that, just contact us via PM. This is mandatory to avoid any copyright issues or getting defect links in the future. The last thing we would want, is to get in trouble because of that. Also please bear in mind, there is not a single person answering your PM, but a team of people, living in different time zones. Because of that, it will take a while to discuss and agree on things, but you can be sure your PM is being worked. Thank you for everyone's hard work in this-I'm getting a Doopy's kit soon and this takes a bit of the stress out of the anticipation of the build! Thanks again for all the reference and tips! There's also a common picture of a Bapty blaster (the one with a wooden block inside the magazine) showing this kind of scope rail. 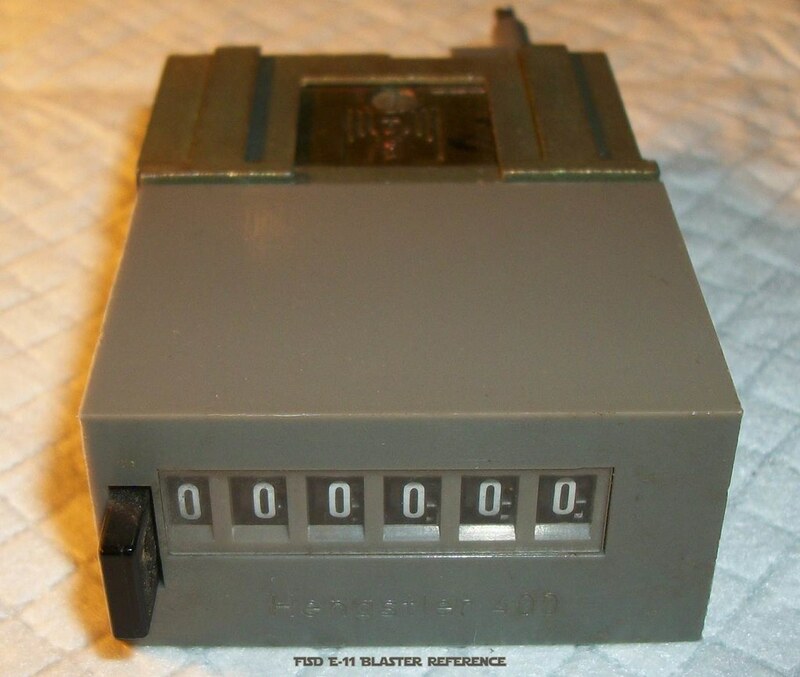 Also, i think it should be mentionned somewhere that the hengstler bracket is an invention from the 501st and that in fact, for ANH, the hengstlers were only glued to the side of the scope and receiver of the blaster. Lastly, the correct way to secure the scope rail at the rear sight end is to use a transversal bolt (or screw) going through the rear sight just above the scope rail. If you pay attention, you can see on most of the blasters a protuberance at the sides of the rear sight whereas the original Sterling part is rather flat. Actually, i do think the internal mobile part of the rear sight needs to be removed, the scope rail fitted, and then the side holes of the rear sight (freed from the original pin) used to secure the rail with a bolt and nut. Thanks very much for this input, Germain. Will integrate this as soon as we finished our work on the current updates. Sergiu, which kind of glue do you think has been used? 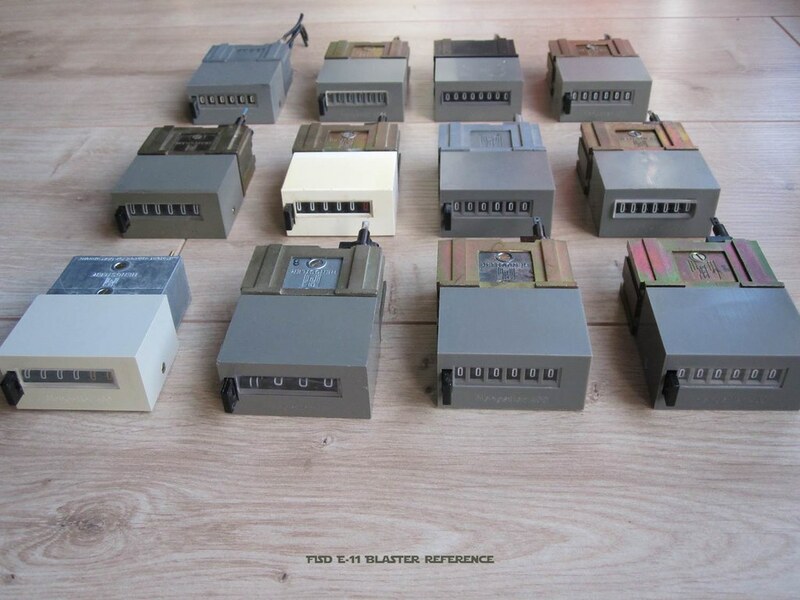 This chapter provides more visual information on individual parts of the E-11 blaster. 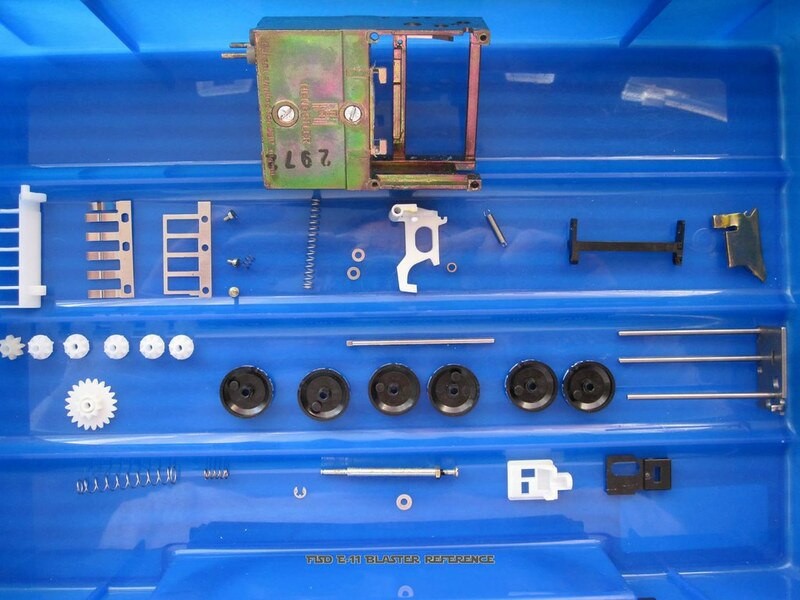 - with permission from youtube member "Gun Disassembly"
- with permission from youtube member "Noble Empire"
- a link to many photos of a precisely cleaned Sterling parts set. I'm not sure but I have a hunch they used anything they could for gluing other parts out there. and Dennis (Tr00per) for bringing the Sterling disassembly video to our attention. You have been added to the friends list of this team-account, so everybody viewing this profile will see, you have contributed information to this reference. Thank you very much. The new content can now be found in chapter #33 Gallery. Thank you guys for all your work around the E-11 blaster thread. The FISD E-11 Reference Team would like to take this opportunity to thank Germain (The5thHorseman), Christian (Novak Dimon) and Stefan (Turrican) for submitting content regarding the scope rail. The FISD E-11 Reference Team would like to take this opportunity to thank Mike (Twnbrother) for submitting photos from the front sight pin (made from a threaded rod) and the movable magazine release button. I've had my head buried in my ATA ANH Helmet build which I have almost fished and just stumbled across this.. It looks like it's time to get back to my doopy build, no more multiple tabs open.. Fantastic work guys, thanks heaps..
Wow! This is awesome. However, I am a newbie and not handy. 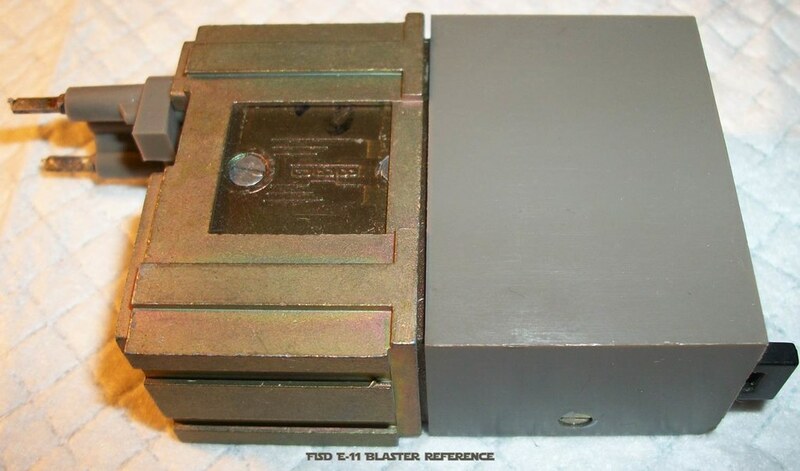 Does anyone who if there's a place that I can just buy an E-11 blaster? Clement buying a completed E11 is an option it just depends on how accurate you want it. A very good one is from Derrek http://www.whitearmor.net/forum/topic/28047-phoenix-props-e-11-stormtrooper-blaster-kits-a-new-hope-and-esb/he had a few to sell, I just don't know if he still has any. Send him a message. Thanks Mike! I'll check with him. Does anyone know how good this vendor is for the E11 blaster? 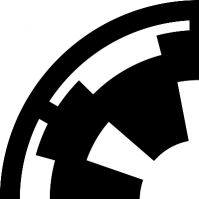 Is it good enough to be approved by the 501st legion? Thanks! Hey Clement, just remember you don't NEED a blaster for 501st approval. Only for the EIB/Centurion levels. Anything from a modified Hasbo/Rubies blaster to a real Sterling will do. There's a few threads about this particular one you mention (see below). Yes, it's ok, but its an awful lot of money for a lot of inaccuracies. Doopy/Glue/Black paint will give you one just as good for less than half the money.